Being part of the Trojan Family means belonging to an amazing international community that reaches beyond cities, industries, and time. Owned and operated by USC, the USC Bookstores embrace talent, nurture skills, and support ambition! A thriving retail organization with nine physical locations, a booming online presence, and over $35 million in annual sales, USC Bookstores are dedicated to creating the Best USC Experience. 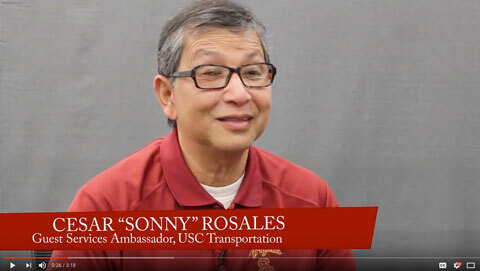 The Best USC Experience means outstanding customer service, excellent products, and a great place to work. We are committed to USC students, staff, faculty, and fans whether they’re on campus or on the other side of the planet. Do you want to be part of a team that encourages growth, creativity, and connects you to the long-term career that you’ve been looking for? Join the Trojan Family at USC Bookstores! We are seeking a Buyer to join our rapidly growing Computer Store team. As a Buyer II, you will be the first point of contact for our faculty and staff in need of merchandise and supplies. Your expertise will be critical for helping our customers make purchasing decisions and for negotiating with our vendors to ensure that we are receiving the highest quality product at the best price available. As you are in constant contact with vendors and customers, you will need to have excellent interpersonal and customer service skills. Every day brings a new challenge, and we try to greet each one with a smile! Advise all levels of faculty and/or staff regarding purchase and supply requirements, specifications, quantity and quality of merchandise, and delivery needs. Assist in obtaining proper specifications, quotations, delivery terms and costs. Recommend alternatives to save money or improve delivery. Solicit and analyze quotations for new or nonstandard items. Recommend or approve awarding of contracts or purchase orders. Place purchase orders based on assigned authorization or signing limit. Surveys vendors regarding pricing, availability and delivery times to determine best and/or possible new supply sources. Perform year-end review of maintenance contracts, standard contract items, and licensing agreements for renewal or renegotiation. Negotiate contracts and price agreements to enhance cost savings and quality of service. Bid and negotiate long-term contracts of unlimited amounts for repetitively purchased items. Research and resolve problems with vendors and university departments to facilitate the purchasing process. Ensure purchases comply with internal and external requirements and regulations as well as good purchasing practice. Provide information to faculty and staff on government restrictions and regulations and university policy and procedures related to purchasing. Maintain proficiency automated systems used for various purchasing functions such as vendor contract database and cost control and bid analysis programs. Strong knowledge of technology purchasing. Experience in a high-volume, fast-paced retail environment. Demonstrated customer service, interpersonal, and communication skills. 3 years of experience in purchasing. Knowledge of applicable laws, policies, and principles. Ability to oversee student, temporary, and/or resource workers.